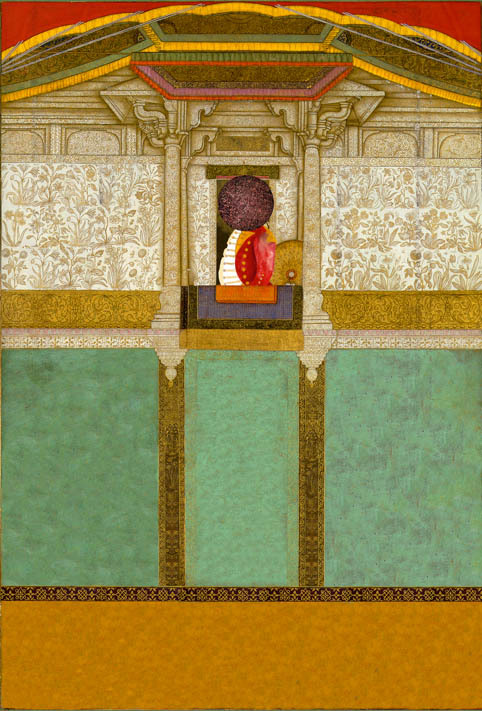 The Last Post is inspired by Shahzia Sikander’s on-going interest in the colonial history of the sub-continent. This seminal work is showing in India for the first time, especially apt given Chennai’s historical connection with the East India Company. The protagonist in this rich animated video is an East India Company man who appears throughout the work. In one instance, he is a metaphor for the collapse of the Anglo-Saxon hegemony over China. In another, he appears as a lurking threat in the imperial rooms of the Mughal Empire, which once ruled over much of South Asia. In the animation, Sikander also uses subtle references to the Company School, a style of painting whose visual language was developed in eighteenth-century India as Europeans sought documentation of the country’s exotic plants, architecture and nature. The Last Post recently won the international Art Prize for a Time Based work. Shahzia Sikander was born in Lahore, Pakistan, and currently lives and works in New York. 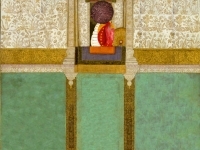 Sikander was one of the first Contemporary artists to renew traditional miniature painting techniques, and she has won numerous international prizes such as the Macarthur Genius Prize for her mastery and transformation of this ancient technique. Sikander’s work is included in the collections of the Museum of Modern Art in New York and San Francisco, the Whitney Museum of American Art, the Guggenheim, among many others. This is the first time the artist is exhibiting a major piece of her work in India.